The Fraternal Order of Police (FOP) is a labor union consisting of sworn law enforcement officers in the United States. It reports a membership of over 325,000 members organized in 2100 local chapters (lodges), organized into local lodges, state lodges, and the national Grand Lodge. 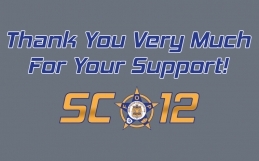 The union attempts to improve the working conditions of law enforcement officers and the safety of those they serve through education, legislation, information, community involvement, and employee representation. The FOP is a trade union and a Fraternal Organization, having both Labor Lodges & Fraternal Lodges and describes itself as a “full service member representation organization.” It lobbies Congress and regulatory agencies on behalf of law enforcement officers, provides labor representation, promotes legal defense for officers, and offers resources such as legal research. It also sponsors charities such as Easter Seals, Special Olympics, memorials for fallen officers, and support programs for spouses and family members of police officers. In 1915, the life of a policeman was bleak. In many communities they were forced to work 12 hour days, 365 days a year. Police officers didn’t like it, but there was little they could do to change their working conditions. There were no organizations to make their voices heard; no other means to make their grievances known. From that small beginning the Fraternal Order of Police began growing steadily. 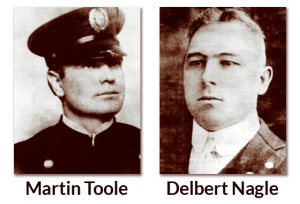 In 1917, the idea of a National Organization of Police Officers came about. Today, the tradition that was first envisioned over 90 years ago lives on with more than 2,100 local lodges and more than 325,000 members in the United States. The Fraternal Order of Police has become the largest professional police organization in the country. The FOP continues to grow because we have been true to the tradition and continued to build on it. The Fraternal Order of Police are proud professionals working on behalf of law enforcement officers from all ranks and levels of government. The Fraternal Order of Police emblem is a five-pointed star. Midway between the points and center of the star is a blue field representative of the thin blue line protecting those we serve. The points are of gold, which indicates the position under which we are now serving. The background is white, the unstained color representing the purity with which we should serve. We shall not let anything corrupt be injected into our order. Therefore, our colors are blue, gold and white. When adopted, the motto was believed to be Latin and assumed to mean “Fairness, Justice, Equality” or “Justice, Friendship, Equality”. Actually, the motto is a grammatically impossible and hardly translatable sequence of Latin words; the current interpretation is the best that could be made of it. In the center of the star is the coat of arms of the city of Pittsburgh. The FOP constitution and bylaws provide that active membership is open to “any regularly appointed or elected and full-time employed law enforcement officer of the United States, any state or political subdivision thereof, or any agency may be eligible for membership” and that “each state and subordinate lodge shall be the judge of its membership.” Local lodges often have provisions for retired law enforcement officers. The subordinate lodges are supported by state lodges which are subordinate to the Grand Lodge. The Grand Lodge is the national structure of the order. In 1978, the Order had 138,472 members, 1,250 lodges and 34 state structures. In the late 1970s, the Order’s headquarters were located in Indianapolis, Indiana. The national organization has three offices: the Labor Services Division in Columbus, Ohio, the Steve Young Law Enforcement Legislative Advocacy Center in Washington, D.C., and the Grand Lodge “Atnip-Orms Center” National Headquarters in Nashville, Tennessee.